Greetings from Kent! How were the holidays for you? Our family was very grateful for a break in the schedule and some extra time together — but we’re also pretty excited to get back in rhythm now that the New Year (and Kent State University’s Spring Semester) is upon us. All the way from Thanksgiving through New Year’s Day, God gave me many opportunities to cultivate the spiritual discipline of Gratitude. Part of this came through the holidays themselves: fostering the giving of thanks, celebrating a generosity of spirit, and promoting reflection on the old and new things in our lives. In addition, I started studying the book of Philippians over the Winter Break, to prepare for H2O’s Spring message series — and its abudance of joy and gratitude has been infectious. I mean, look at the words quoted above: “In all my prayers for all of you, I always pray with joy…” That’s the kind of life I want to lead! I appreciate the opportunities that a new year provides for retrospection. My own reflections have helped to heighten my awareness and appreciation of everything God has been doing. And I thought it might be fun to share my Top Ten Ministry Moments of 2018, in reverse ranked order. It’s obviously not a scientific exercise, and it’s different from how I’ve typically done our January “State of the Ministry” prayer letters… But I hope this list will be a fun and fresh look into the past, with glimmers of what the future may hold as well (and we’re still excited to share a more substantial Family Update, after the list of Ministry Highlights). 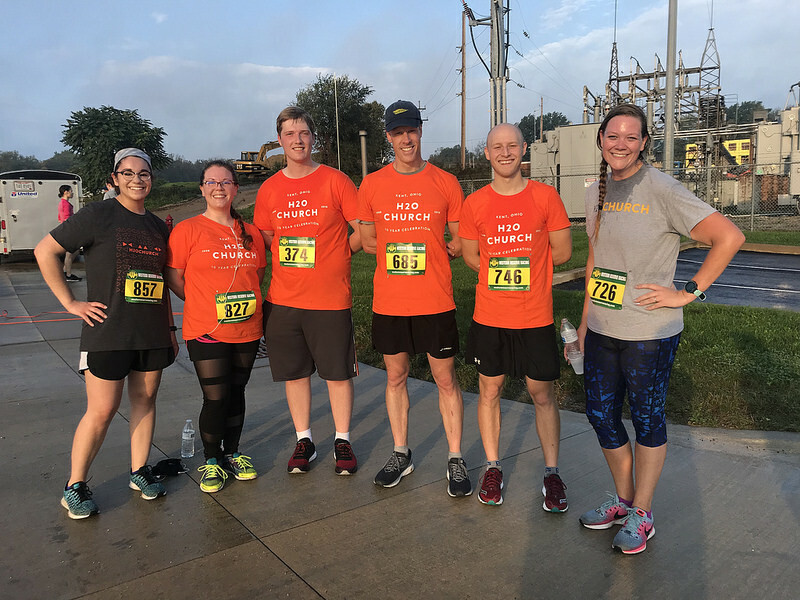 We celebrated the 10th birthday of H2O Kent in October, with a bunch of different activities including a 5K race, a brunch, a tailgating party, a banquet, and a worship gathering (I was also proud of the fact that I wore a different H2O Kent T-shirt to each activity!). We figured it would be a fun time of reunion and celebration, but we weren’t completely prepared for how envisioning that weekend would be: both then and still. Our church is certainly not perfect, but we’ve fostered a strong culture of plurality, humility, and family that has lent itself to slow, steady growth through the last ten years — and it felt like our students and alumni got a fresh sense of vision and perspective for the next ten years to come, as well. I’m super-proud of Aidan and Chelsea Rinehart. 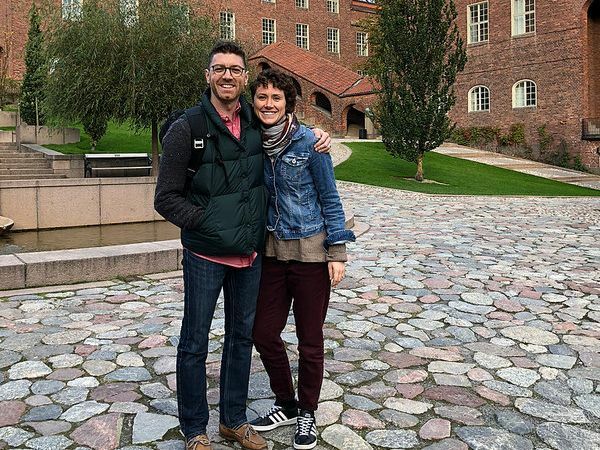 They were sent out from Kent in the Fall of 2017 to join a missional movement in Stockholm (Sweden) which seeks to establish outposts of Gospel engagement throughout the city. They’ve had their ups and downs, as should be expected with any cross-cultural move, but they’re doing really well: educating themselves, building relationships, and reaching out to the campus of the Royal Institute of Technology (KTH) and others in the Östermalm section of Stockholm. They’ve also started praying more for the Södermalm section of the city, and I really appreciated the opportunity to visit these neighborhoods with them in September. We look forward to continued partnership with them to fulfill the Great Commission in 2019, and beyond. I felt convicted at the end of 2017, when I realized that I failed to use nine days of vacation time from that year. It was a signal to me that I was becoming more inclined towards self-reliance, workaholic tendencies, and “American” attitudes that felt so foreign when our family first moved back to the United States from our decade of ministry in Europe. We started talking as a Staff team about the way that resting well is an act of Gospel proclamation — trusting Jesus to be the Savior of the world, not ourselves. With some extended conversation and careful planning, I believe we succeeded in using up all our allotted vacation time in 2018. The church kept going through it all, and I’d like to think that we’re in an even healthier position, moving forward. Spring Break is not really a “break” for those of us in Collegiate ministry. We recruit students to join us for mission trips that help us to serve those in need, expand our vision for Collegiate church-planting, and foster Spiritual Disciplines. Last March, I worked with a couple of Staff and Interns to facilitate our Spiritual Disciplines trip in the Great Smoky Mountains of Tennessee. While it was an excellent trip for all the students involved, those of us who worked to lead the trip were pretty burned out towards the end of the week. At one particular breaking point, I went for a walk with two of the key leaders. 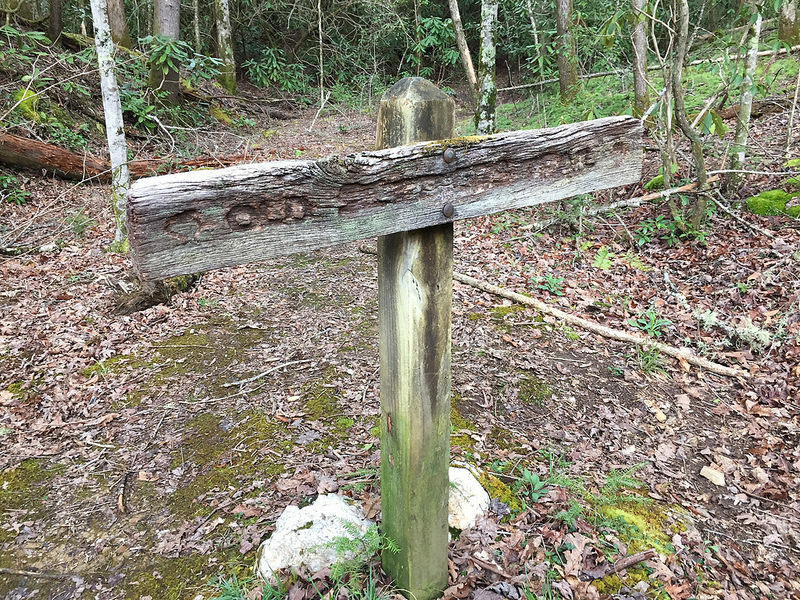 Over the course of this hike along the Old Settlers Trail of the Great Smoky Mountain National Park, we processed the week’s happenings, prayed through some relationships in crisis, and just generally encouraged one another in the Lord. It was a spontaneous part of a heavily-programmed week, but I felt like it may have been the most strategic moment of ministry that I was personally able to facilitate for that trip. In all my years of preaching, I don’t know if I’ve ever felt more insecure going into, during, and immediately following a sermon than I did for this one on the “Dividing Wall of Hostility” back in February of 2018. I learned a lot about the sin of Racism and the institutional justices to which I’ve been largely blind, as a person of privilege. I was very thankful for the support I received from my friends Eric and Darnell; still, it was challenging to address an issue as complicated and convicting as this one. In any event, though, I feel like I grew a lot through that sermon — and I hope some others from the church were able to grow from it, as well. We continue to prioritize Gospel-centered efforts on campus to build bridges with those who are different from us. This was one of the wilder moments from a wild week of Welcome Activities in August. Even though we had a lot of student leaders helping to pull off this event, somehow, I — the 41-year-old pastor — ended up in a group composed entirely of freshmen who walked up while we were explaining the Scavenger Hunt we had organized. Even though we were perfect strangers to each other when things kicked off, we ended up having a really fun time together running throughout campus, meeting more freshmen, and completing assigned activities like the one where a freshman allowed his body to be used as a surfboard for another freshman, on the University Esplanade. 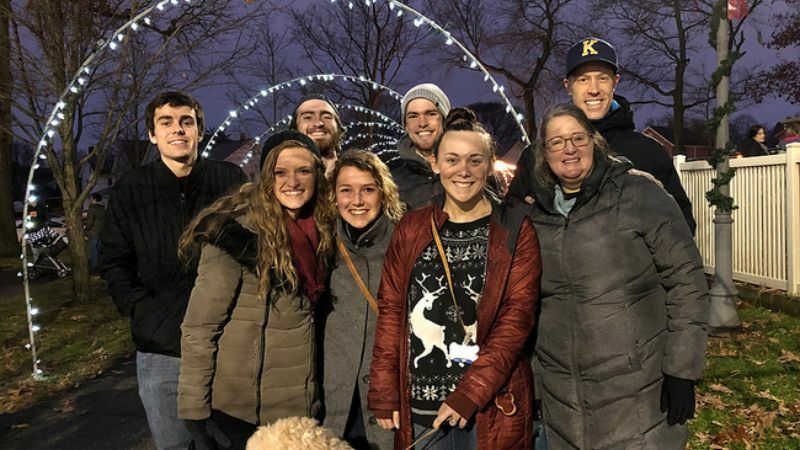 There have been plenty of other outreach events since then, of course, but that particular evening stands out in my memory as a good example of living on mission at Kent State University. I’m very proud of everything God has done in the life of my friend Hunter. When I first met him, at the beginning of the 2017-18 school year, he was dealing with a lot of challenges including addiction, obstacles to his education, challenges to employment, strained family relationships, and lack of community. 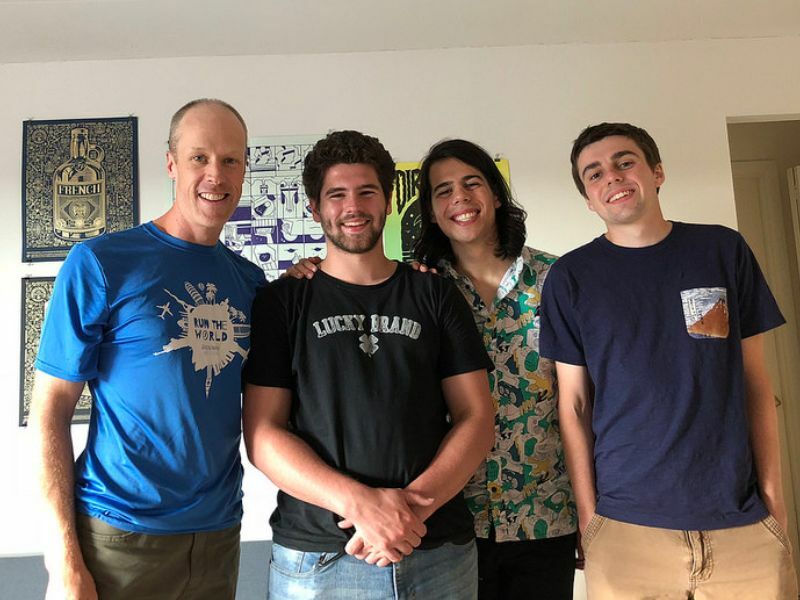 I started sharing the Gospel with him late on a Thursday night, in downtown Kent, and eventually other friends like Nathaniel, Dylan, and Armand helped to live out the Gospel for Hunter to see. As a result, Hunter gradually developed a relationship with Jesus and ultimately proclaimed new life in Christ through baptism. He joined the Army this fall, and his unit is currently preparing to ship out to Iraq — so he definitely needs our continued prayers — but it seems to me like Hunter has come a long way since that first night we met. Over the last three years, the Collegiate Church Network has developed a unique program for stimulating and supporting the staff from our churches. It’s coordinated with our summer Leadership Training program in Estes Park, Colorado, where the staff work to facilitate a transformative experience for college students — but this Collegiate Mentoring Program is designed to be a transformative experience for them. 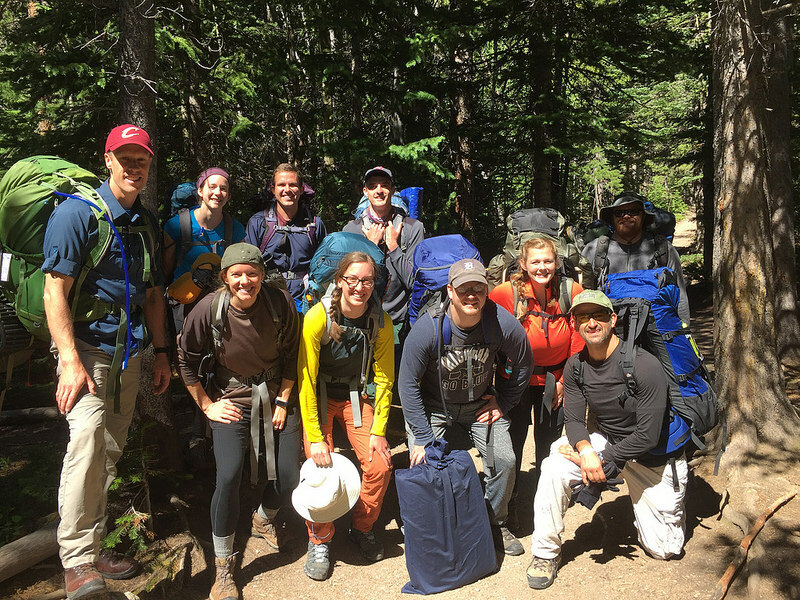 This summer was my second time helping to lead various elements of this initiative, but it was the first time I took the reins for the group’s time of Spiritual Solitude in the Wilderness of the Rocky Mountain National Park. This year’s group had to overcome some unique challenges, such as a nursing mother and a couple of completely uninitiated outdoors-men… But they ended up being a really fun group, and I pray that their experience fasting and seeking God out in the wilderness helped to enhance their ministry effectiveness for this year and years to come. 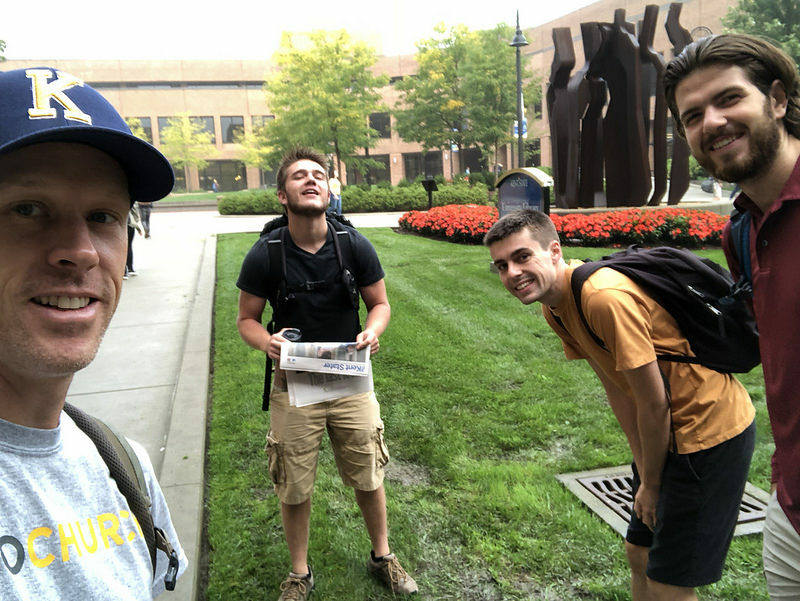 When I was a college student at Bowling Green State University, one of the key inflection points for my spiritual development was a daily practice developed with other men on campus — where we made a point to spend time with God at the beginning of the day and then catch up with each other and process the things God was teaching us, over breakfast on campus. At the end of this past August, I felt like God prompted me to revive this practice with some student-leaders; and we’ve been having a good year as a “Breakfast Club.” We meet at the Kent State University Library around 8:00 AM, and by 8:10 AM we’re off to different sections of the Library to spend time reading the Bible, journaling, and praying. Around 8:40 PM, we reconvene in the lobby of the Library, and then we hang out there or in the Hub of the Student Center until we have to leave for other obligations. There’s not much glitz or glamor in this type of ministry (much of the time it’s just me and one other student), but I’m really glad to be doing it. I’m praying that more may join us in the Spring Semester! I feel like our Staff team is in a really good place right now. We’ve got a fine crop of new Staff, just graduated within the last year or two. There are a couple of us, pastors, who have been doing ministry for the better part of two decades now. But I’ve been especially encouraged this year by the development of our Staff’s “Middle Class.” Three in particular — Lauren, AJ, and Daniel — have been doing ministry for a few years, now, and it seems like they’re really taking ownership within our ministry, each shouldering unique burdens according to their personalities and spiritual gifting. 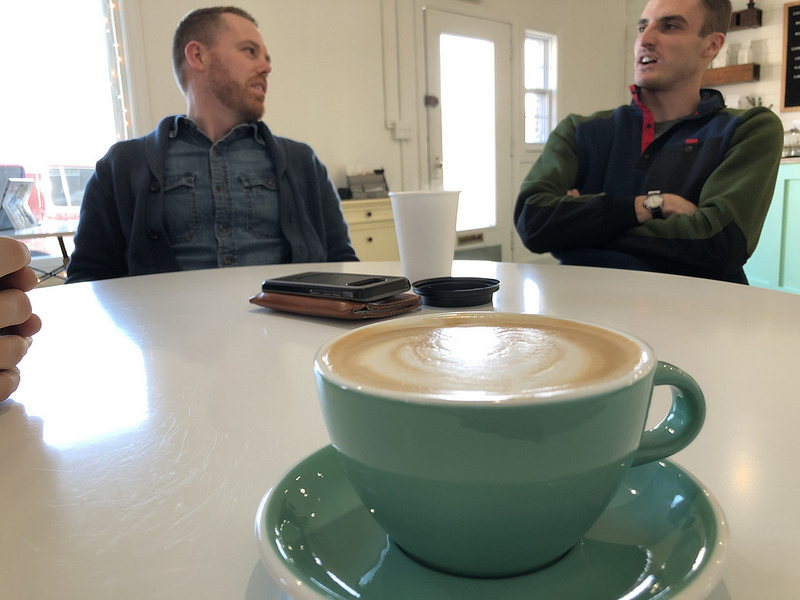 I meet with all three of these leaders every Monday morning, usually while drinking coffee — and I’m very excited to see how God is developing this next generation of leaders to take the church places we would never otherwise be able to go. What did you think about the “Top Ten” format?!? If you enjoyed it, you might be interested to know that I also made a list of Top Ten Family Moments for 2018 (and, for that matter, I also posted about my Top Ten Songs of 2018, Top Ten Books of 2018, and Top Ten Hikes of 2018): all accessible on my personal website, www.ericasp.com. I think it’s fun to see the way that the “specific” so often gives insight to the “universal,” even though it would seem to be more limiting! To give you a more succinct report on our family, though: It’s been a great year of growth: physically, emotionally, intellectually, and spiritually. I’m really thankful for everything God has been doing in and through our family. Elliot is now six feet tall and still growing, with huge hands that come in handy when he plays basketball with the college boys (and their middle-aged pastor) on Saturday mornings. Even so, Elliot prefers soccer to basketball. He earned his first varsity letter with the school team this fall, and he’s already looking forward to his senior season (now just seven months away!). We’ve started to think, talk, and pray through life after high school, currently considering further education in Business, Communications, or Journalism. Whatever he chooses to do, we feel like Elliot is poised for success. Please keep praying for him (and for his parents!) through the coming years of significant life transition. Olivia has also hit a growth spurt in the last year; in fact, she’s now taller than Marci! She started high school this year, and she’s carrying a heavy academic load with the majority of her classes being “Advanced Placement” or “Honors.” I’ve also been really encouraged to see the ways in which she’s deepened her walk with God this year, through regular devotions and intentional pursuit of community. She’s joined a small group Bible study with other high school women. She helps to care for the children of H2O during our weekly worship gatherings and periodic babysitting gigs. And she also continues to hold her unofficial title as “the most artistic person in our family,” with skills in drawing, singing, and creative writing. Cor is now in middle-school, half-way through sixth grade in Kent City Schools. He still loves sports — both playing and watching — with particular interest in soccer, basketball, and (more recently) snow-boarding. At school, Cor has developed a special affinity for social studies and keeping up-to-date on current events, to the point that he asks to watch the evening news or historical documentaries with us! He’s not all “hard-Cor” about life, though. He would say that his favorite film and music album of the year were “Mary Poppins Returns,” and I think he might have most of the song lyrics from the soundtrack memorized. ​Marci graduated from Kent State University in May, with her Master’s degree in Teaching English as a Second Language (TESL). 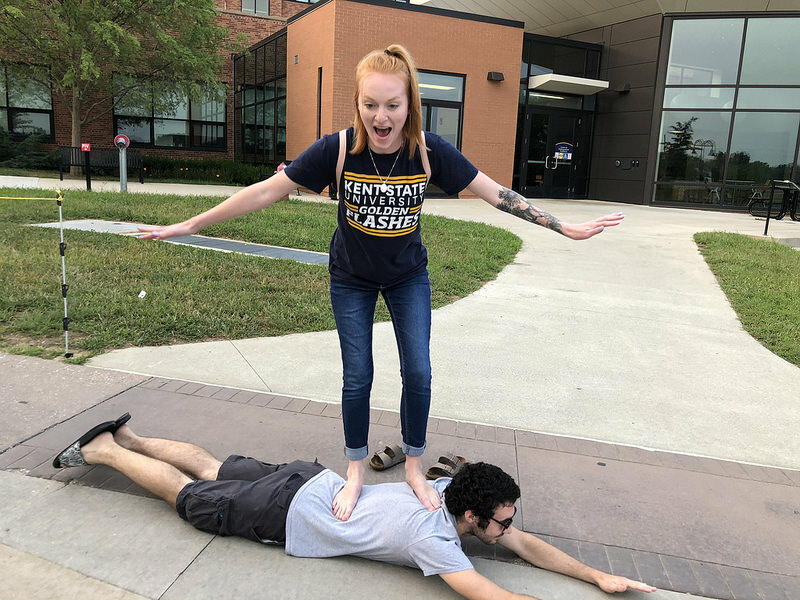 She taught at Cuyahoga Community College this fall, and this semester she’s just picked up two courses at Kent State University (please pray with us that this could be a “foot in the door” for a full-time position in the future). She’s a natural teacher, which benefits any students in her classes and the students in our own household. 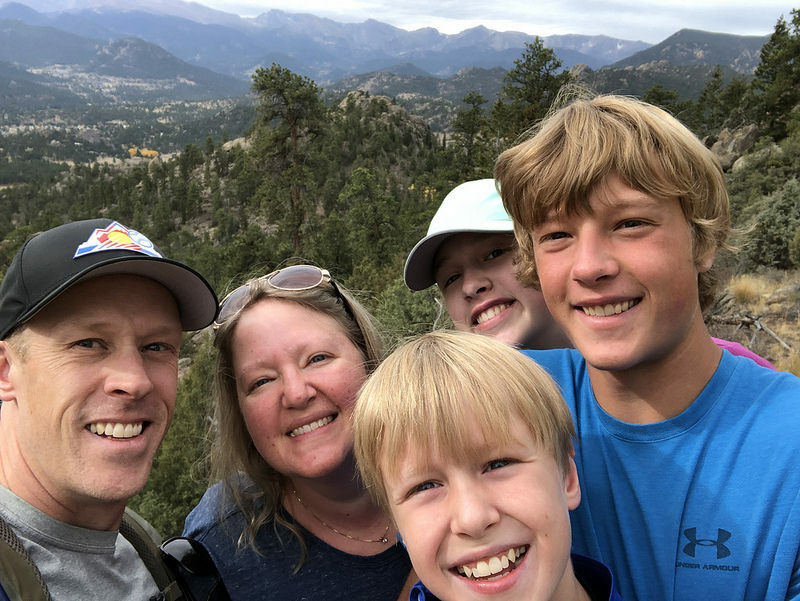 This summer, she took advantage of our family’s time in a small Colorado cabin to teach Elliot, Olivia, and Cor how to plan, prepare, and produce several meals that we ate together over the course of our time at Estes Park Leadership Training. She and I also celebrated our twentieth wedding anniversary in May, which felt like a pretty special milestone. As for me, I hope you get a pretty good sense of my ministry roles (and some of my personal peculiarities) through these monthly updates. But something about me that I don’t always share about explicitly is my love for the wilderness. Forests and fields are deeply refreshing on both the spiritual and emotional levels. And I feel blessed that I had plenty of opportunities to spend time in God’s Creation this year. Spring Break and summer ministry opportunities took me to the Great Smoky Mountain National Park and Rocky Mountain National Park, respectively. And family vacation time also provided the chance to visit Badlands National Park, Yellowstone National Park, and Grand Teton National Park this summer. My favorite of them all, though, is Northeast Ohio’s own Cuyahoga Valley National Park (CVNP). 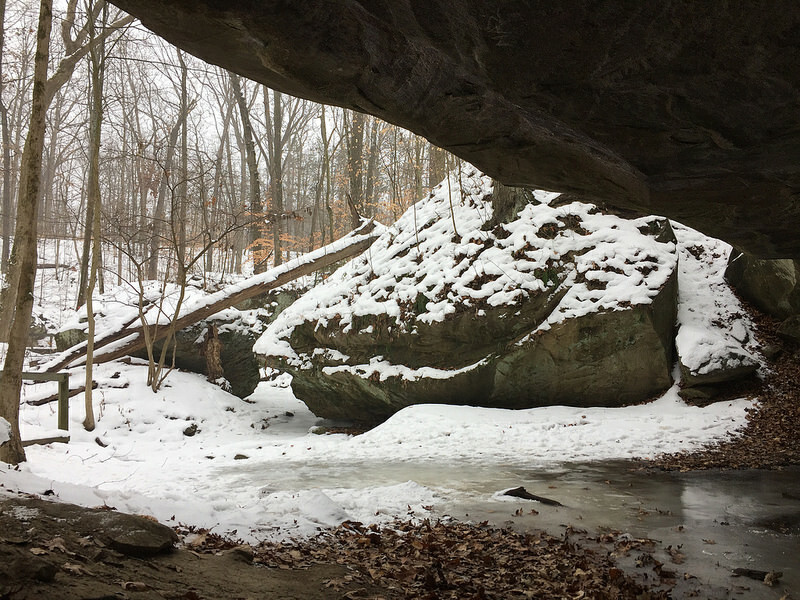 This year I finally completed a personal quest to hike every step of every trail in the CVNP. Next quest: the Northeast Ohio loop of the epic, statewide Buckeye Trail! 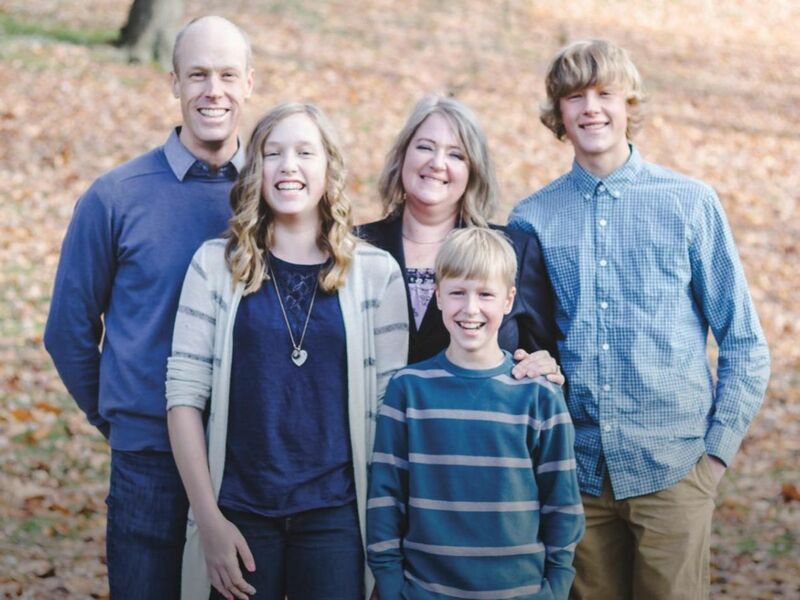 This entry was posted in Family, H2O Kent, Ministry, Prayer, Prayer Letters. Bookmark the permalink.